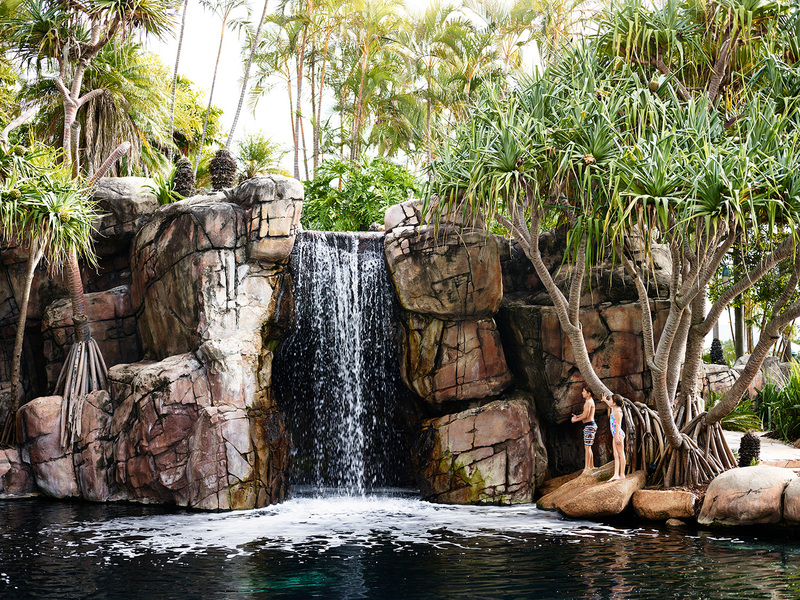 This is the ULTIMATE 5 Star Gold Coast experience! Sunshine, elegance & comfort await guests at this world-renowned, atmospheric Surfers Paradise Marriott. Kids Stay FREE! Double Rooms accommodate 2 adults & 2 children (12 years & under) in existing bedding. Children 0-4 eat breakfast free & children 5-12 at half price. 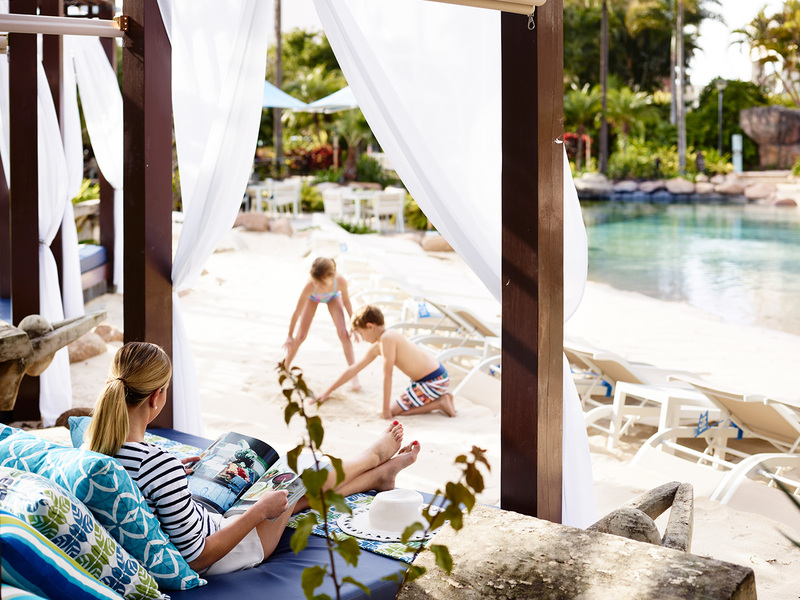 Stay Extra Nights for the Same Discounted Price & extend your holiday in paradise! 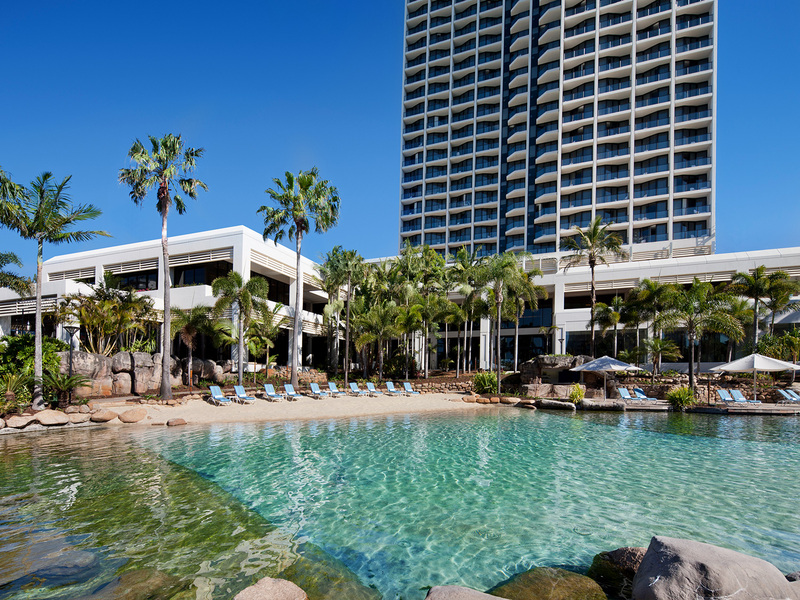 The beautifully revitalised Surfers Paradise Marriott Resort & Spa is the Gold Coast's stylish playground for all generations. 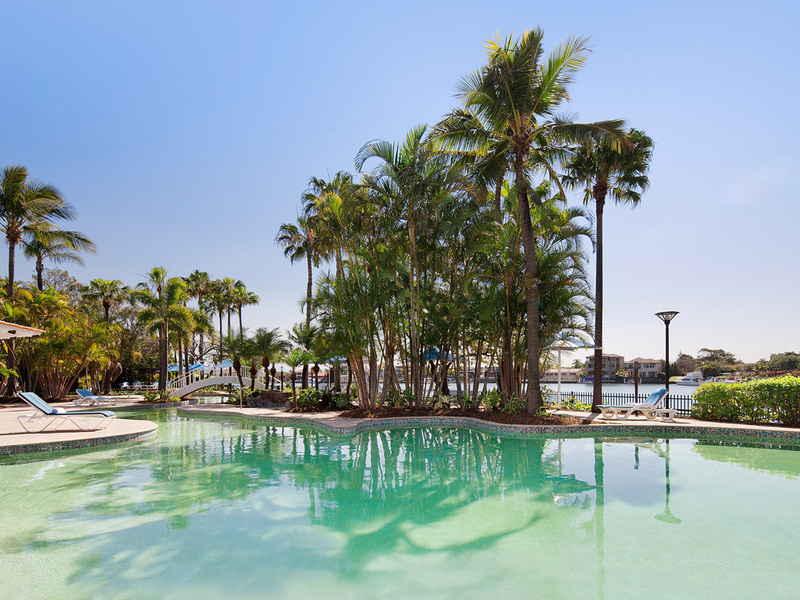 This breathtaking Gold Coast hotel is located just a few minutes walk from the heart of Surfers Paradise and within easy reach of famous beaches, fashionable shopping precincts and picturesque hinterland valleys. All of the resort’s 216 guest rooms and suites boast a contemporary look with neutral colours and accents of coral, crisp whites and creams with the furniture reflecting a modern Queensland coastal charm. 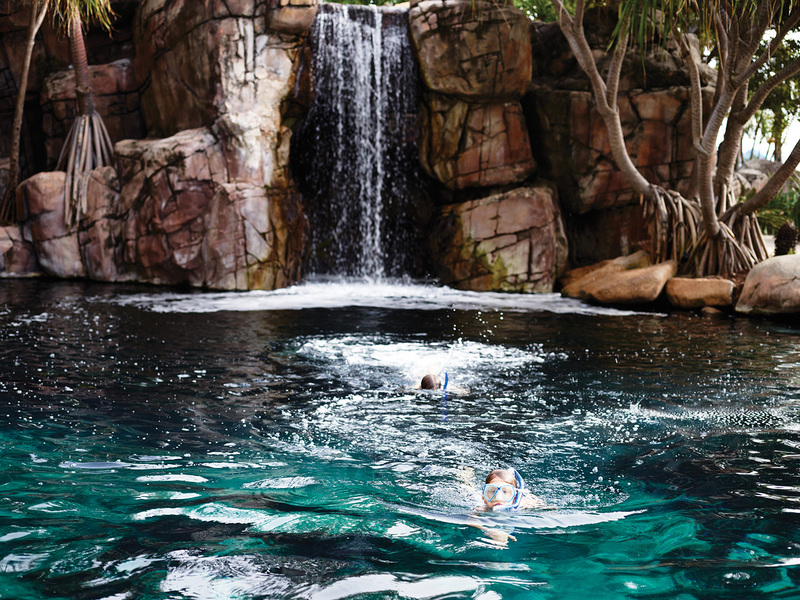 An $8 million aquatic playground forms the centrepiece of the resort and features a cascading waterfall, rock grottos, spas and a spectacular saltwater lagoon where resort guests can swim and snorkel with an array of tropical fish. 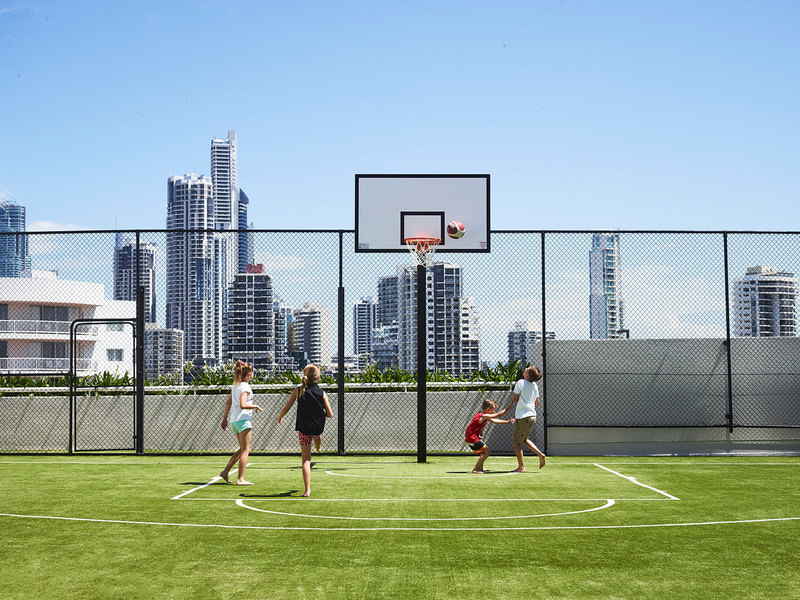 At the Surfers Paradise Marriott Resort & Spa you’re perfectly positioned to enjoy all that the Gold Coast has to offer. 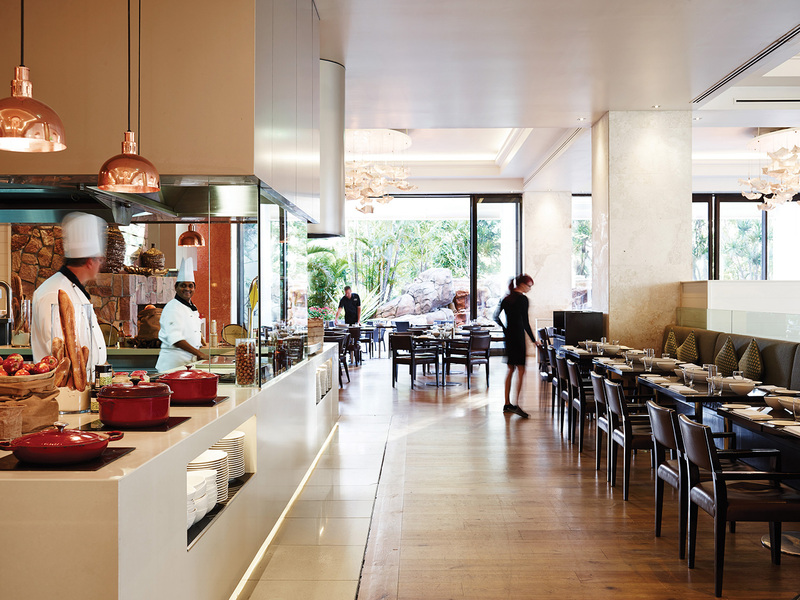 Citrique - the Gold Coast's most famous buffet dining destination offers an interactive seafood indulgence that showcases an array of the best quality, local produce of Queensland. Open for breakfast daily. Dinner is available Monday to Saturday evenings. 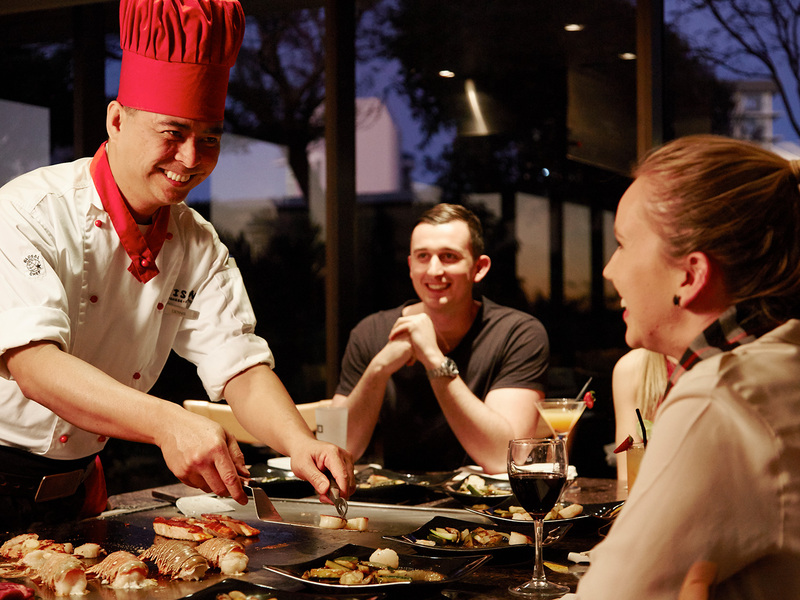 Misono Japanese Steakhouse - As the grandest teppanyaki restaurant on the Gold Coast, Misono serves a selection of Japanese banquets, each prepared by expert chefs on a teppan hot plate built into your table. The ultimate in dining and entertainment. Open for dinner. Misono Sake Bar - showcasing traditional sakes, innovative cocktails, freshly prepared sushi and sashimi. 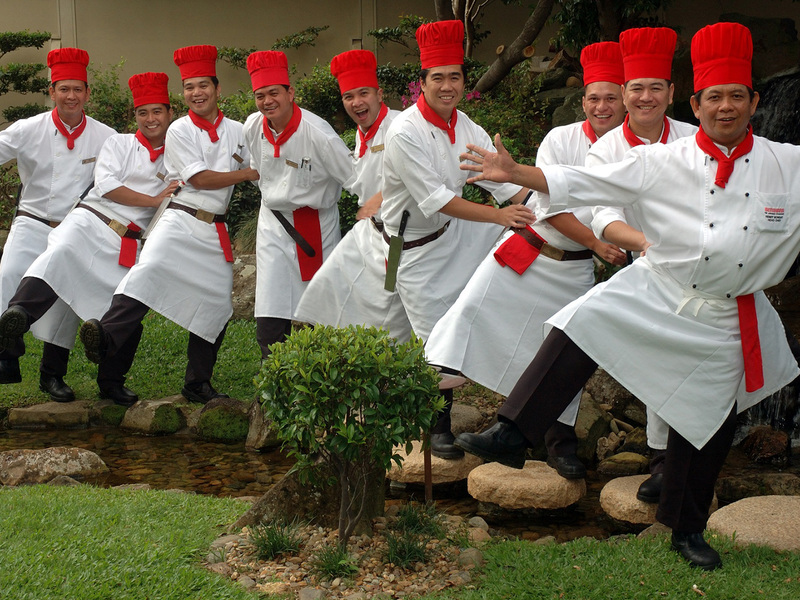 A unique twist on traditional dining in a vibrant atmosphere. Open for dinner. 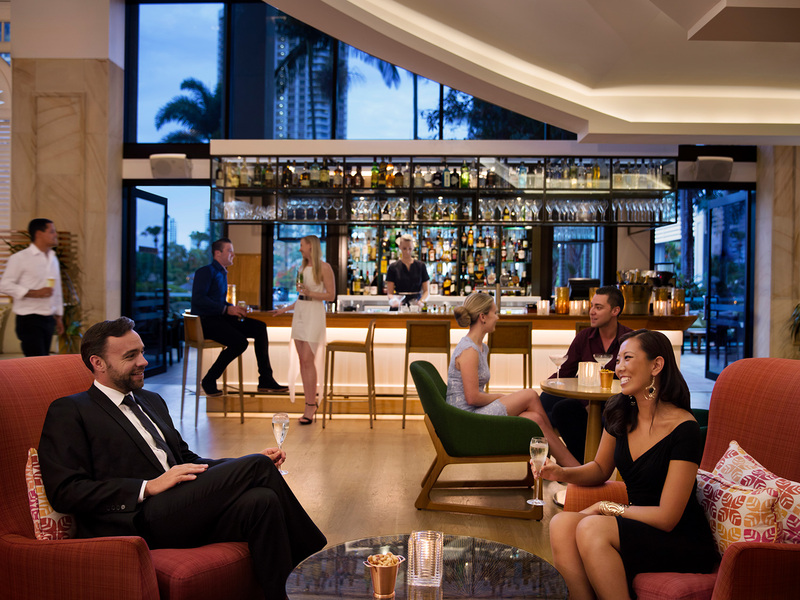 Chapter & Verse bar and lounge - the perfect spot to enjoy a pre-dinner cocktail, light meal or decadent high tea. 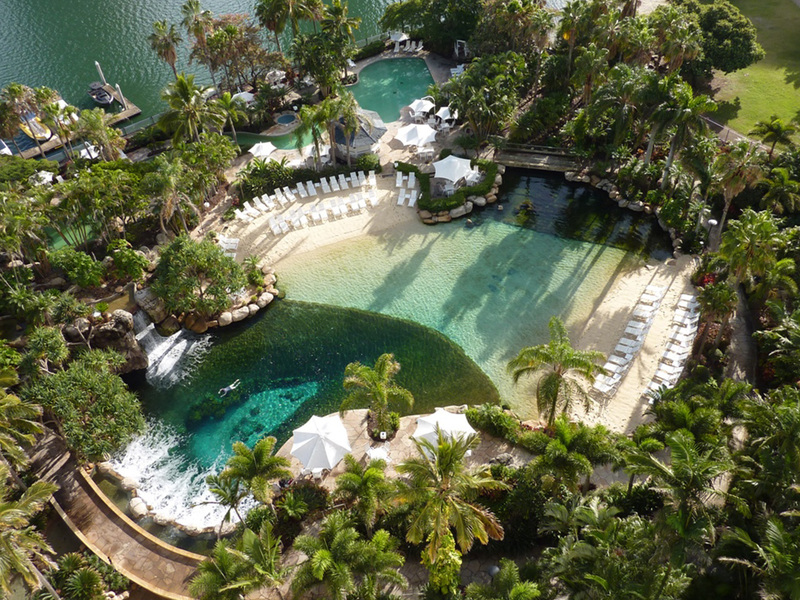 It offers stunning views overlooking the resort's spectacular lagoon and tropical gardens. Open daily from 7:00am until late. Pool Bar - open during holidays and peak times from 10am to 4pm, the Pool Bar offers a range of light meals for you to enjoy as you relax by the resort's sandy beaches and saltwater lagoon. 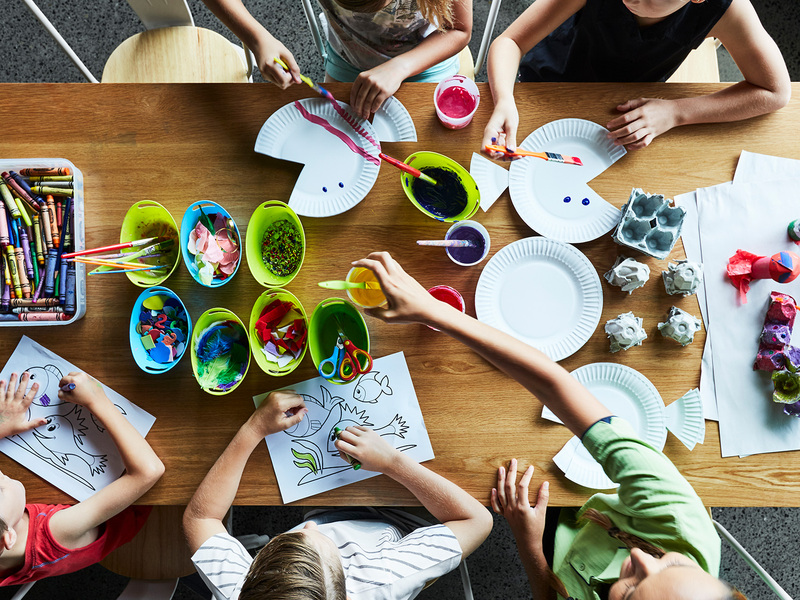 Kids Activities Centre - provides a supervised care option for children 4 to 12 years of age, 365 days a year. The kids Activities Centre features arts and crafts, movies, face painting, kids games, video games, foosball and more. 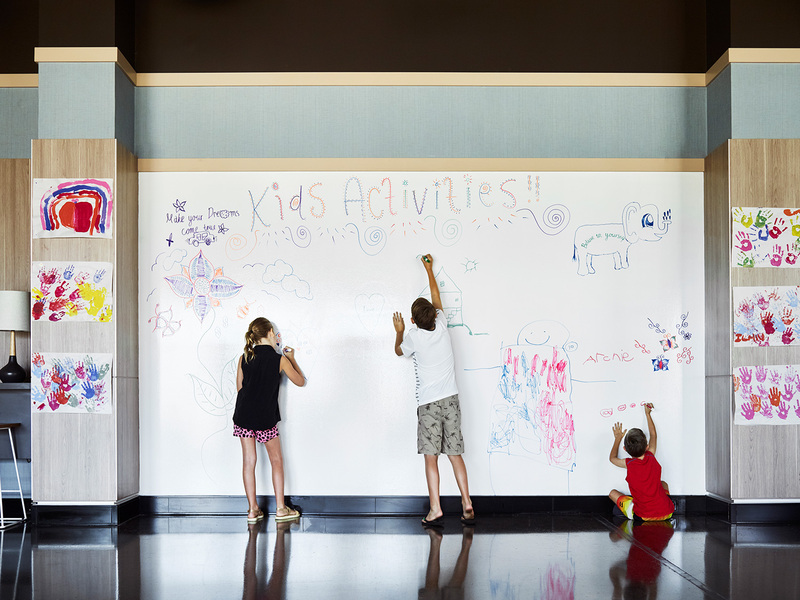 Adults may receive the latest Kids Activities schedule from the Activities Centre or Front Desk (fees apply). 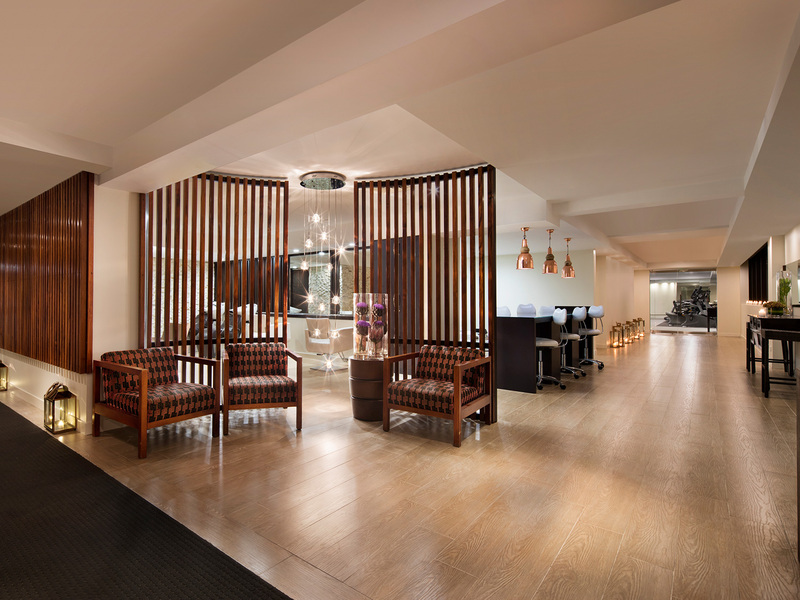 Experience Ruby Spa's lavish array of treatments, offering 5 star pampering services in their newly renovated spa space. From massages, facials, hair treatments, manicures/pedicures and a unique barber shop, Ruby Spa provides that perfect escape. 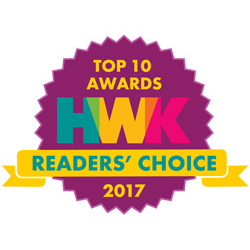 Features several treatment rooms including two couples rooms, relaxation sun deck, 12 person outdoor spa, steam and sauna rooms, Vichy shower and 24 hour gymnasium. Parking Undercover parking is availalble. Self parking is $20 per night.